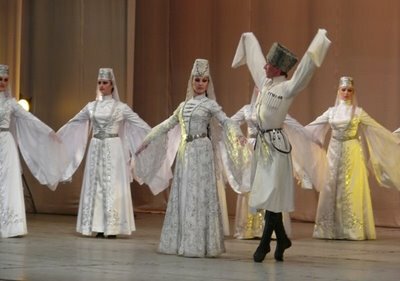 I would like to do an overview of the costume of the Caucasian region, meaning the area immediately around the Caucuses mountains. This is an incredibly complicated area ethnically and linguistically, having over 50 nationalities living in a small area. Undoubtedly the richest such area in Europe, and having no rivals in central or north Asia either. However, the culture is remarkably uniform over this area, and the traditional costume is very similar for many of these peoples. Here is a simplified ethnolinguistic map of the area. [Believe it or not, many small groups are omitted] You will find it helpful to refer back to this map through the course of this article. 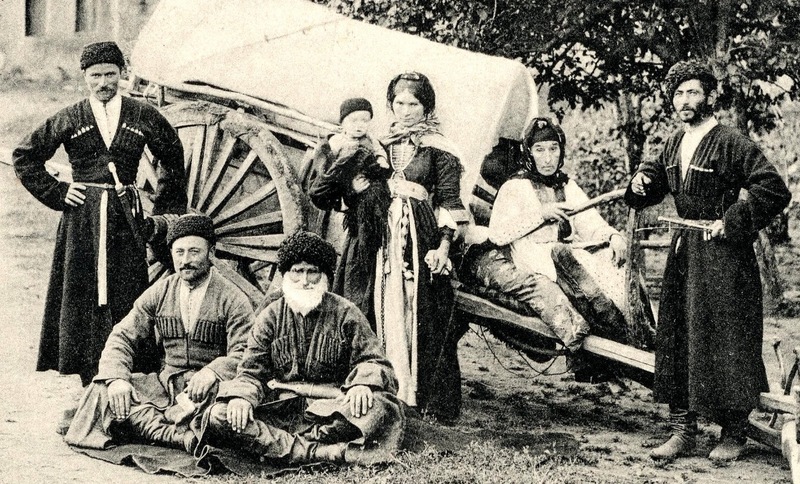 Linguistically, the ethnic groups resident in the area fall into three large families: Indo-European, which includes the Armenians and the Ossetians. 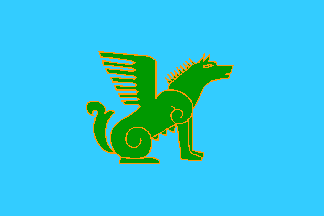 Turkic, which includes the Azerbaijani, the Nogay, the Kumyk, the Balkar, and the Karachay, and the Caucasian, which includes the Georgians, the Circassians, the Chechens and many more. 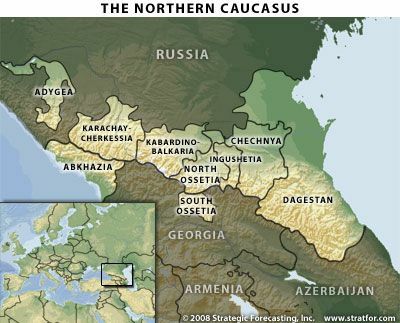 This area can be divided into three areas, the 'Transcaucuses, which includes the former Russian Empire/Soviet Union south of the mountains, the North Caucuses, the area north of the mountains which form several autonomous regions which are still politically part of the Russian Federation, and Dagestan. 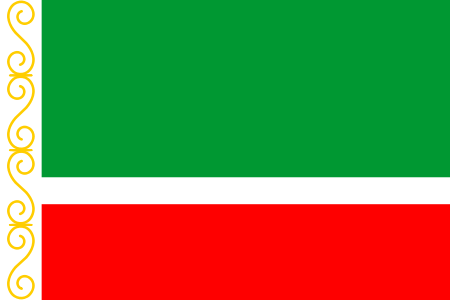 Dagestan is an Autonomous region within the Russian Federation, north of the mountains and on the coast of the Caspian Sea. It is so complicated ethnically that I will reserve some more future postings for the subject. The standard Caucasian costume for men consists of black pants, long soft-soled boots, a shirt or beshmet, a cherkesska, or knee-length jacket with wide sleeves, and often cartridge holders on the chest, as well as a long dagger hanging on the belt. 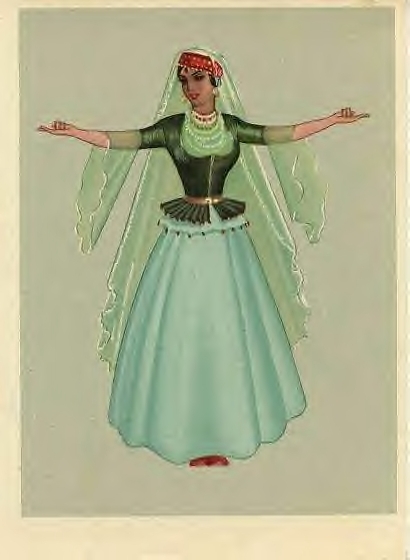 For women an ankle or floor length dress with a fitted waist, often an overdress or bodice with a long peplum, a breastpiece, and a veil, often supported by a headband or hat of some sort. Extra long and/or slit false sleeves are also common. 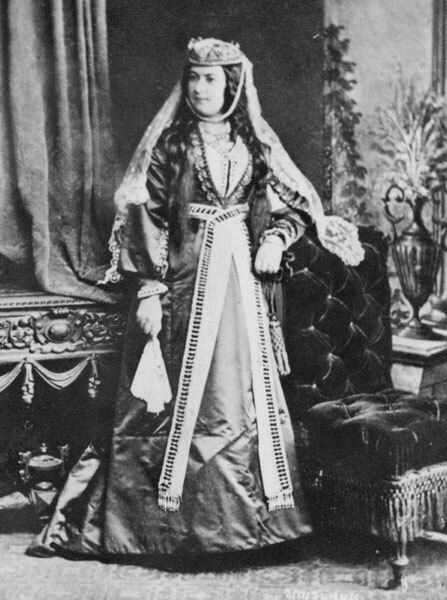 The costume very much resembles the modern 'wedding dress' worn in the west, especially as it is often made in white or pastel colors, but it is a very old tradition in the caucuses, and perhaps originally inspired the modern western wedding dress, which does not have a very long history. 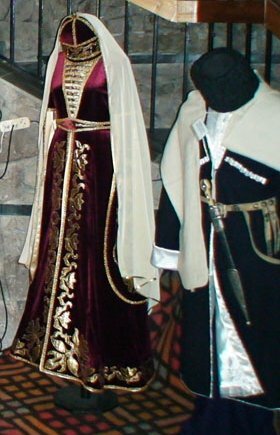 The costume over this region is so similar that it is not unusual to see the exact same photograph presented as being from different ethnicities in the region. I am going to do a very quick overview in this article. Each of these nations deserve more attention, but i just don't have room in this article. 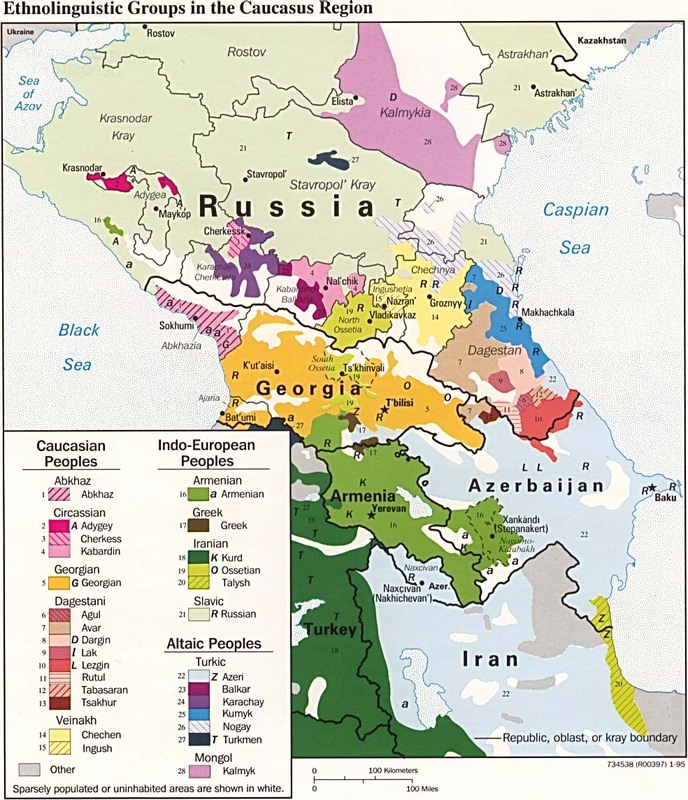 In the south of this region, we have 'The Big Three', relatively speaking, the Azerbaijani, the Armenians, and the Georgians. I have to laugh sometimes when on the news, they talk about tensions in this region 'for years'. Yeah just a few years. The Azerbaijani speak an Oghuz Turkic language which arrived in the area in 1030. 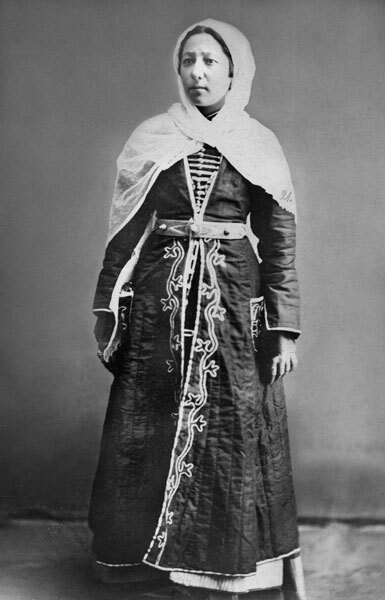 These Turks invaded from central Asia and assimilated the local people who spoke an Iranian language called Azari. So the Azeri as a Turkic people have been in the area for roughly a thousand years. There are somewhere between 24 and 33 million of them. 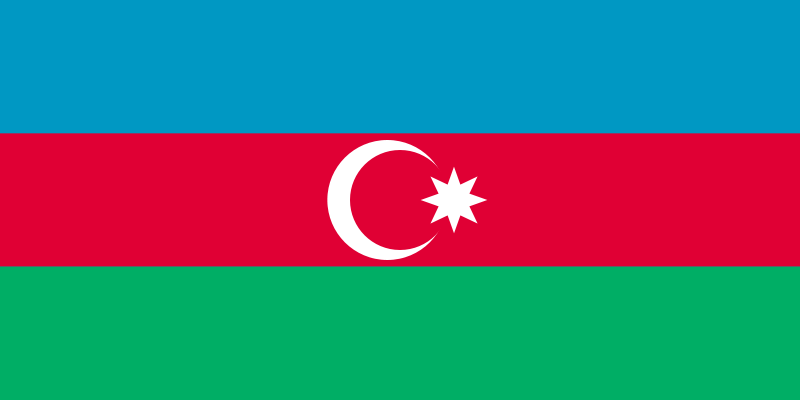 They are the majority population in the independent state of Azerbaijan, as well as the northwesternmost Iranian province of the same name, which covers roughly an equivalent amount of territory. The Armenians speak an Indo-European language which separated relatively early and forms an independent branch of the language family, somewhere between Greek and Persian. They arrived in this area 3 to 4 thousand years ago, from where is not clear, because there are various theories as to the genesis of the Indo-Europeans, and the issue is not settled. 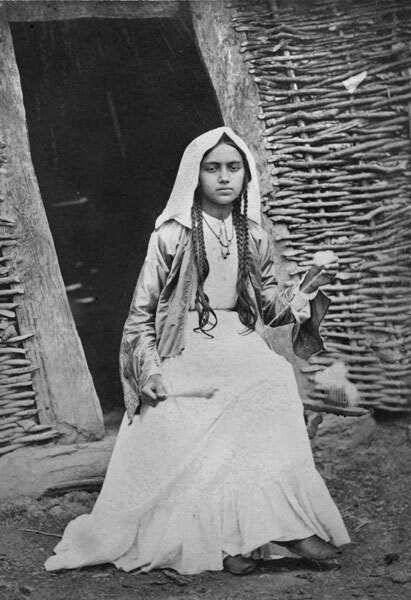 There are roughly 8 million of them, about half of which live in the independent nation of Armenia, and the rest are scattered in many places. 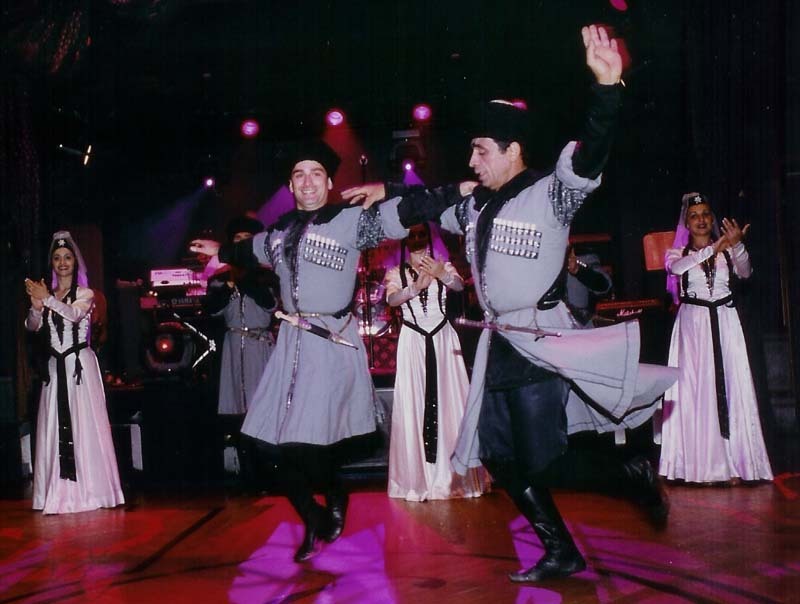 They call themselves Hay, and their country Hayastan. They have a very ancient and admirable culture [in spite of the Kardashians]. They are not properly a Caucasian people, as their country lies somewhat more to the south, centered around Mt. Ararat. 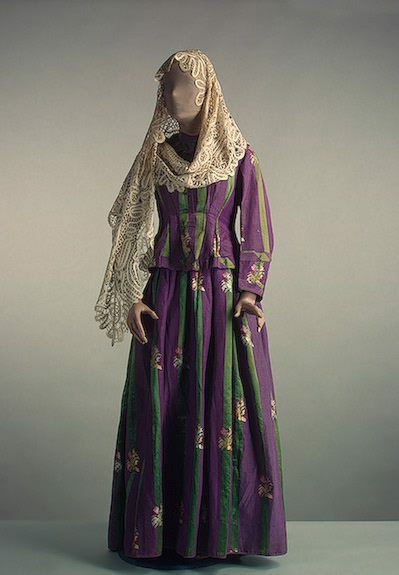 But among their many beautiful folk costumes are some that fall into the general form of the Caucasian costume. The Georgians cannot be linked linguistically with any other people outside of the Caucasian region, so they must have lived in their present homeland for a very long time. 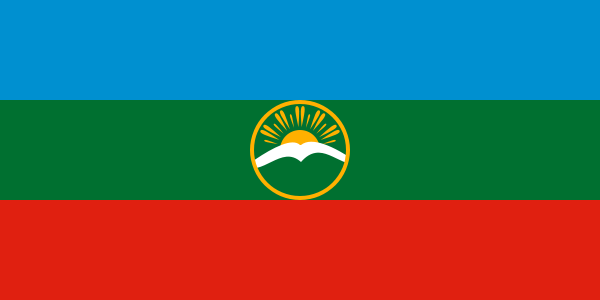 They call themselves Kartvelebi and their nation Sakartvelo. 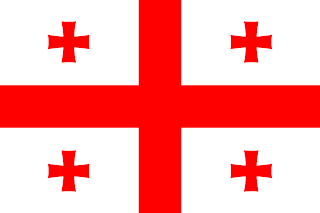 The English word Georgian is a corruption of what the Russians and other surrounding nations call them, which is Gruzyn. Their country in Russian is called Gruzia. There are about 8 million of them. 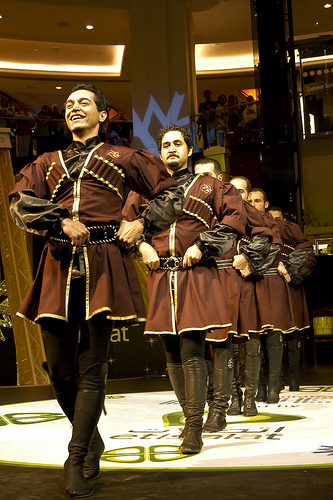 They are widely known for their polyphonic choral singing, as performed around the world by the famous Rustavi Choir. 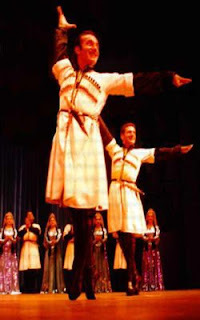 The male dancers in Georgia, as well as in the north Caucuses, are famous for dancing on the knuckles of their toes, which supposedly developed as a way to negotiate narrow mountain ledges. 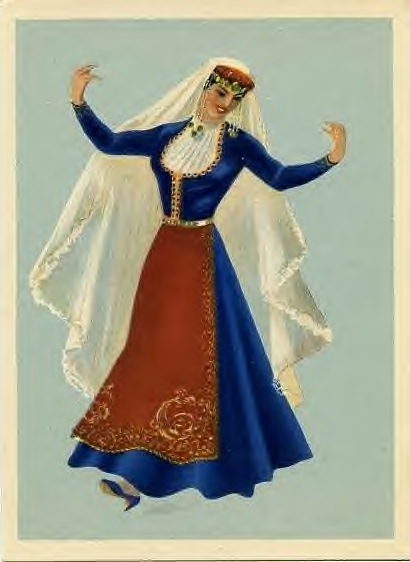 Georgian dance Svanuri, from the Svan region, who have their own dialect/language. 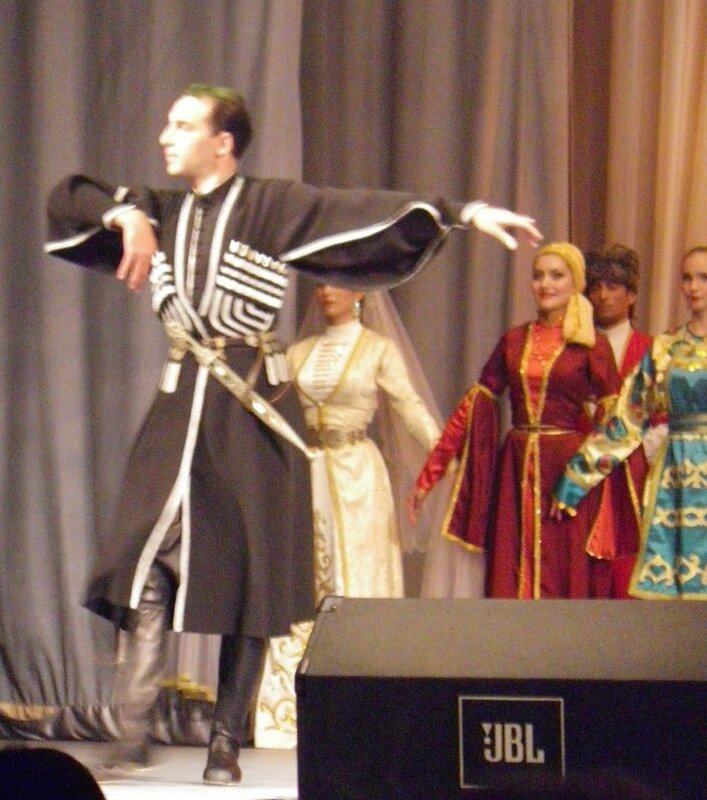 You see the women at the beginning, then the famous Rustavi choir sings, then you see the men dance. Wonderful. Now we shall cover the North Caucuses. Here is a map showing the current political divisions of this area, to which I will be referring. We will be covering them roughly from west to east. 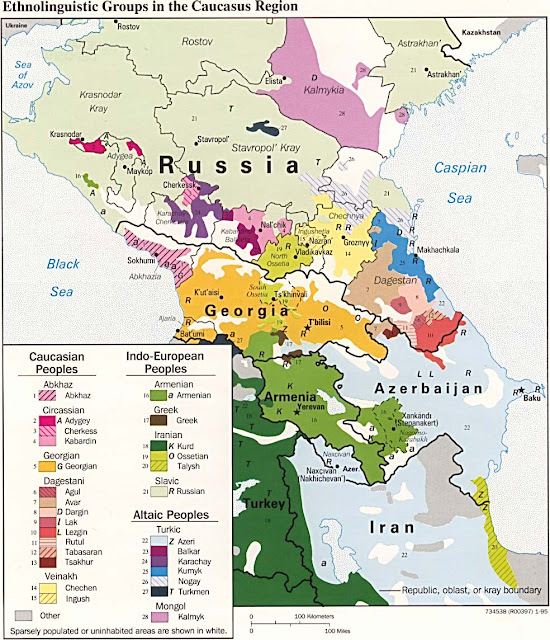 The Abkhaz speak a northwest Caucasian language, much closer to Adyghe or Kabardin than to Georgian. 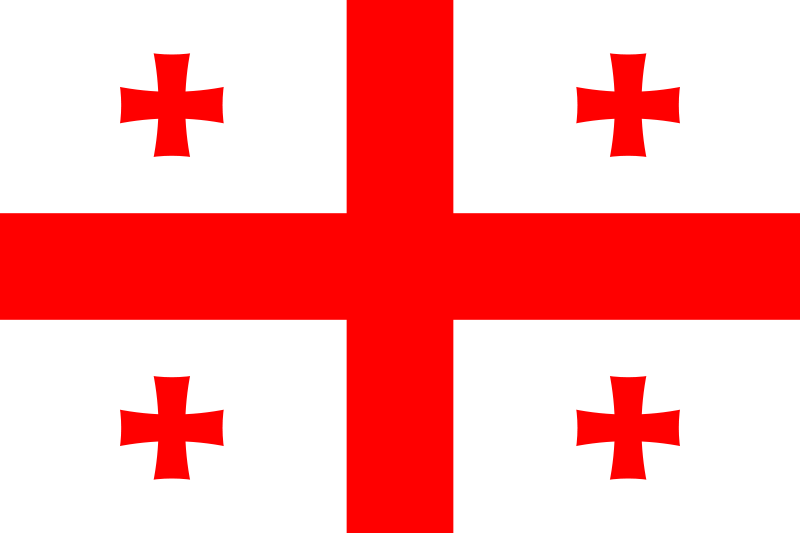 They have declared themselves independent from the Republic of Georgia, but not many nations recognise this. They number between 1 and 6 hundred thousand. 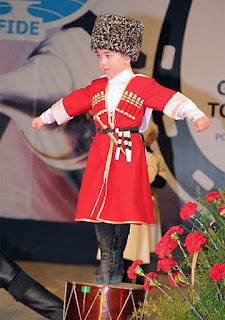 The Circassian homeland lies north and west of the Caucuses, The city of Sochi is in the heart of it. 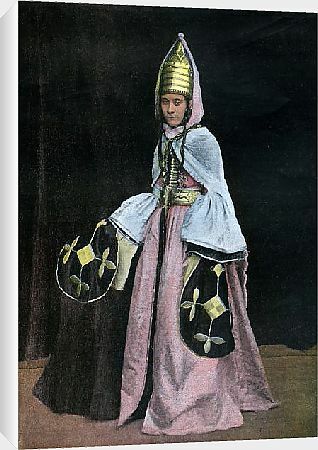 The Circassians were the object of Ethnic Cleansing by the Russian Empire in the lattter half of the 19th cent, at which time many were scattered around the middle east. 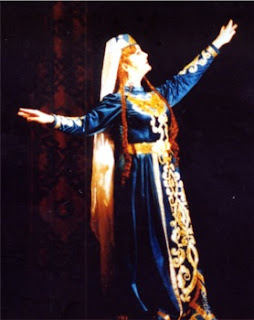 There are currently perhaps 7 million Circassians worldwide, of which maybe one in 7 speaks their native language. They call themselves Adyghe, and their neighbors generally refer to them as Cherkess. 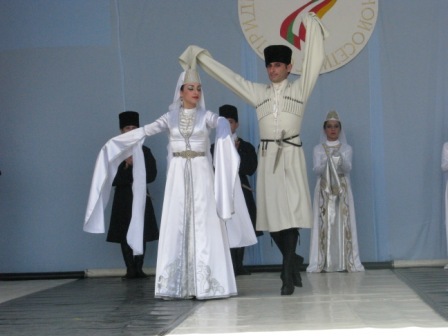 They live today mostly in the Adyghe Autonomous Republic, or in the Karachay-Cherkess Autonomous Republic. Most of them live in diaspora. They also speak a Caucasian language, related only to other languages in the area. Depending on the dialect, their language has 50 to 60 consonants. 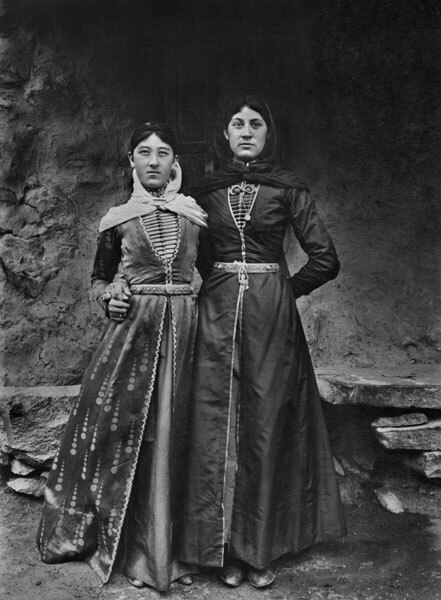 The Kabardin are closely related to the Adyghe, and are sometimes considered to speak a dialect of that language. 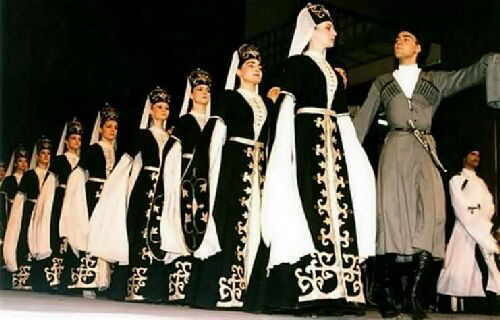 They are the easternmost of the Circassian peoples. 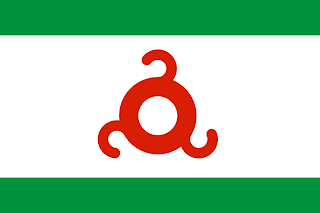 They share the Autonomous Republic of Kabardin-Balkaria with the Balkars. There are maybe a half million of them. Their language consists of about 50 consonants and only 2 or 3 vowels. 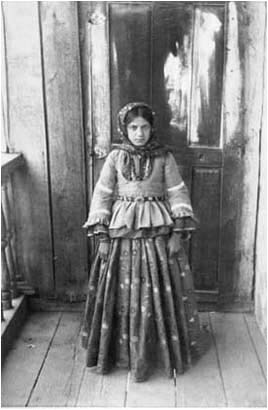 The Karachay are a Turkic people of the Kipchak branch who share the Republic of Karachay-Cherkessk with some of the Circassian people. 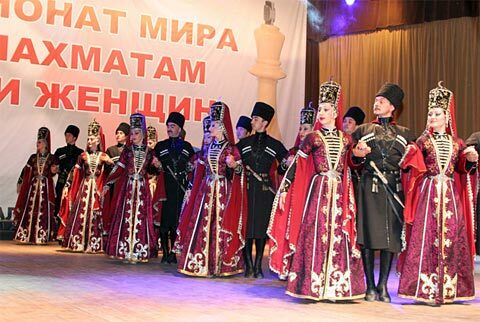 They are linguistically the same as the Kumyk people of Dagestan. There are about 200,000 of them. 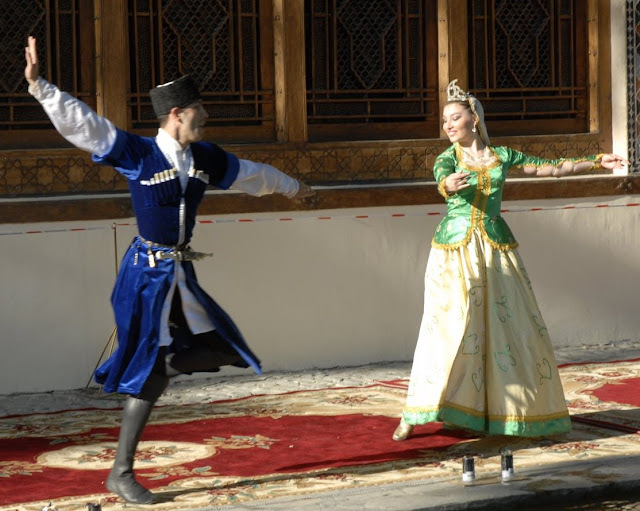 The Kipchaks arrived in the general area in the 11th century, with other Turkic tribes. They have adopted the costume and culture of the Caucuses. 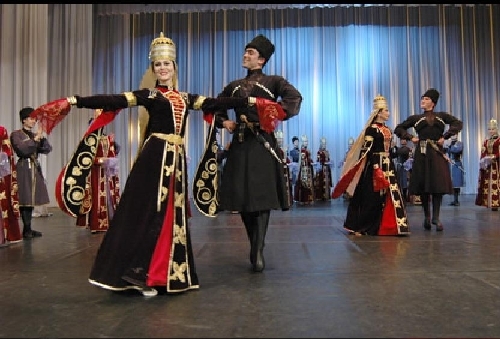 The Balkars are also a Turkic people who speak a Kipchak language which is very close to that of the Karachay. There are about 110,000 of them. 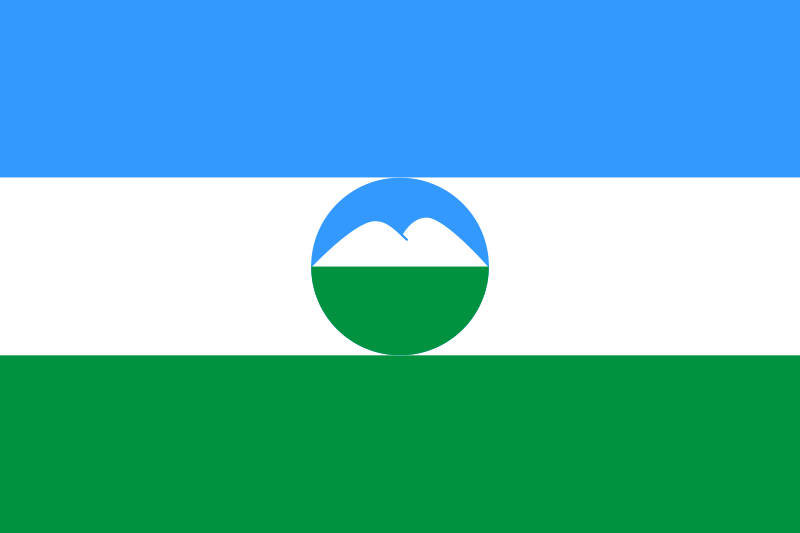 They share the Republic of Kabardin-Balkaria with the Kabardins. 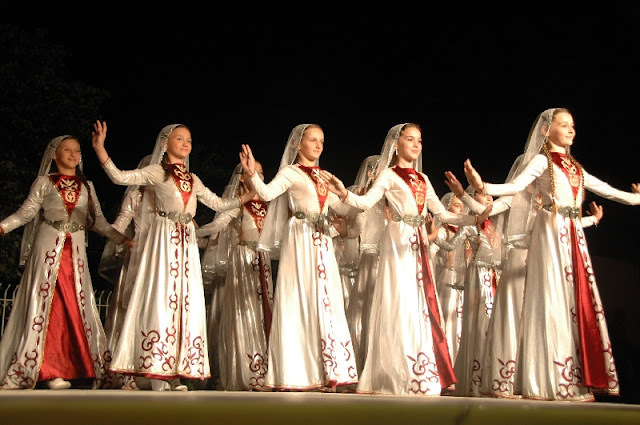 They consider themselves to share an origin with the Bulgar people who historically inhabited the mid-Volga region. 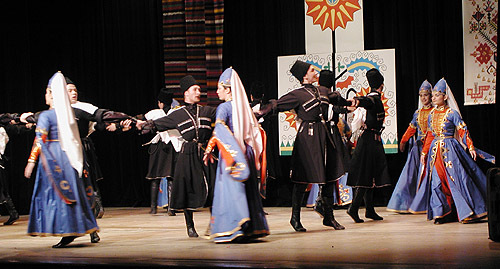 Many Balkars feel a close kinship with the Karachay, as the Kabardins do with the Cherkess and Adyghe. 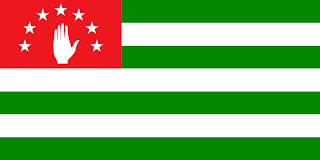 There seems to be somewhat of a movement to redraw the regional borders to reflect this kinship, to make the Kabardin area part of a greater Circassia, and combine the other two into Karachay-Balkaria. 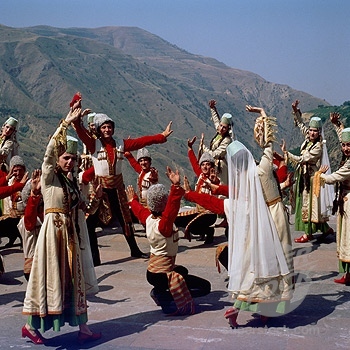 Here is a video of a Balkar dance. The Ossetians speak a Northeast Iranian language, which belongs to the Indo-European Language family. They are descended from the Alans, who once held extensive territory north of the Caucuses. There are about 720,000 of them. Their homeland, Ossetia, is divided in two parts, North Ossetia, which is part of the Russian Federation, and South Ossetia, which lies south of the Caucuses, which is nominally part of Georgia, but is de-facto independent today. 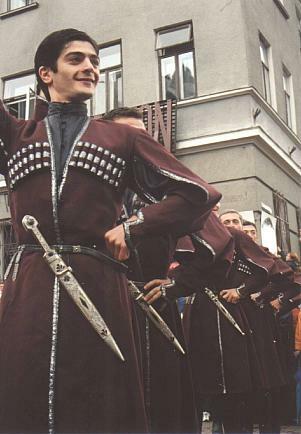 Ossetians dancing at a wedding in street clothes, and doing a great job.Very elegant untill the end when the guys start showing off, and they have something to show. The Ingush call themselves the Ghalghai. 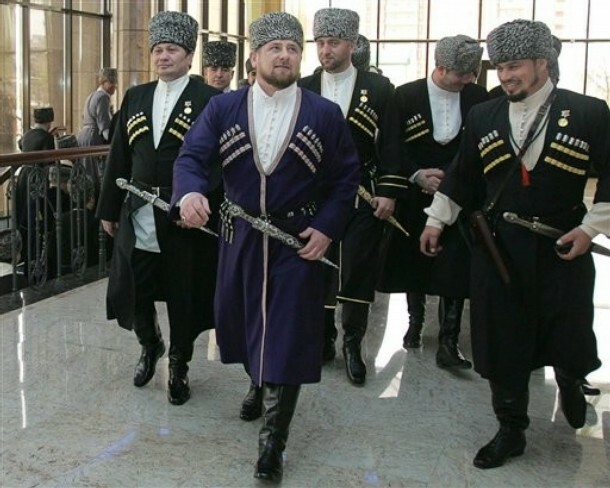 They speak a Northeasten Caucasian language, related to that of the Chechens, and the languages of Dagestan. 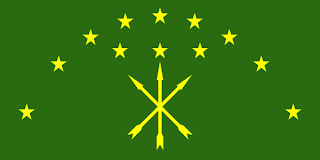 The Ingush and the Chechens together are referred to as the Nakh, or Vainakh. There are about 500,000 of them. 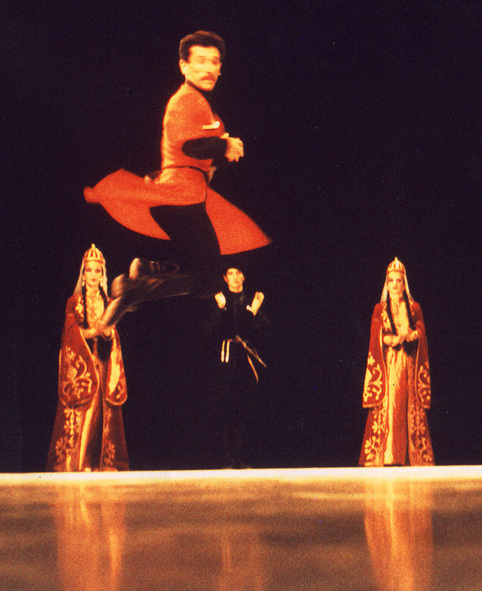 Ingush dance, although i think i remember this choreography from Moiseiev. The men in their floor length burkas do an impressive job. 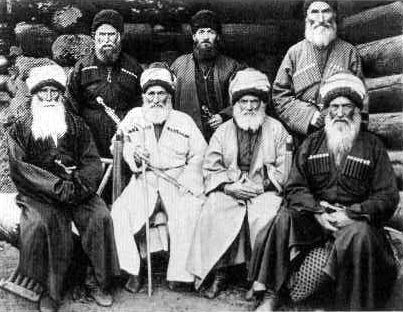 The Chechens are closely related to the Ingush. 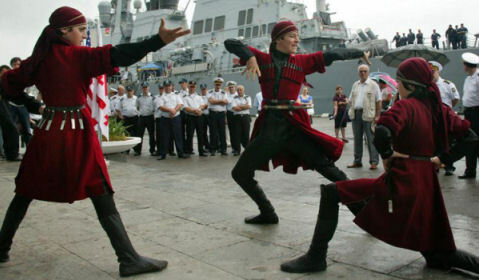 They call themselves the Nokhchi. They are the largest of the North Caucasian peoples at about 1.5 million. They have continually resisted Russian Occupation since the Russian Empire first took over the Caucasian region in the 1860's. 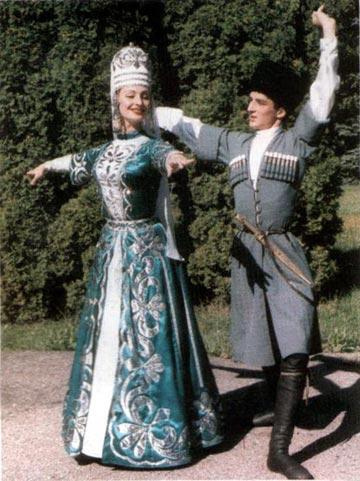 A Chechen couple dancing at a get-together somewhere in the middle east. 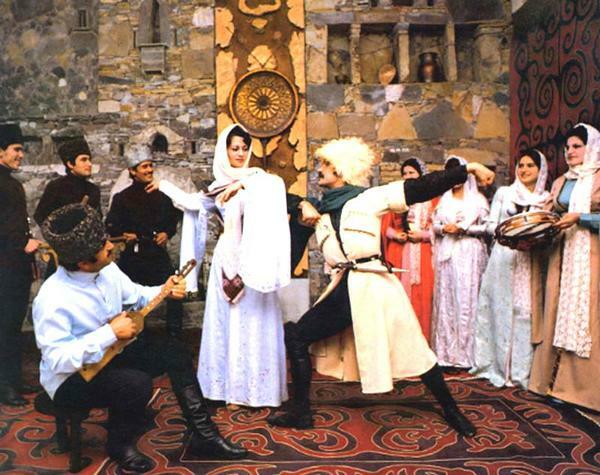 Chechen group 'Wainakh' performing onstage. 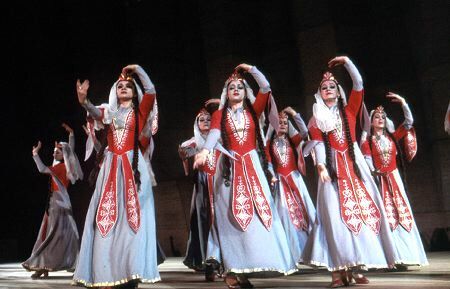 Dagestan has about 30 different ethnic groups. It is complicated enough that I will cover that region in a different post. 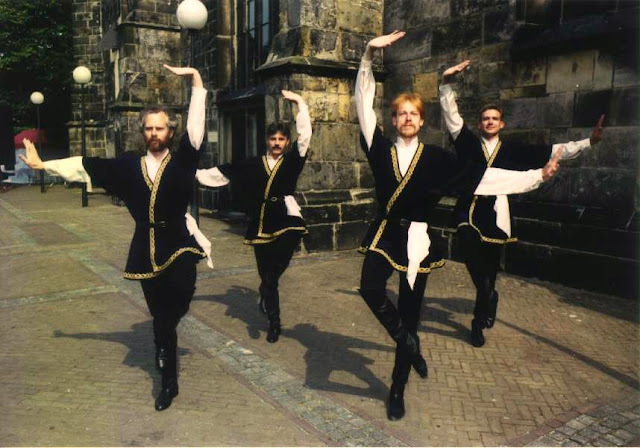 As well as some Russians who lived in the lowlands north of the Caucuses. 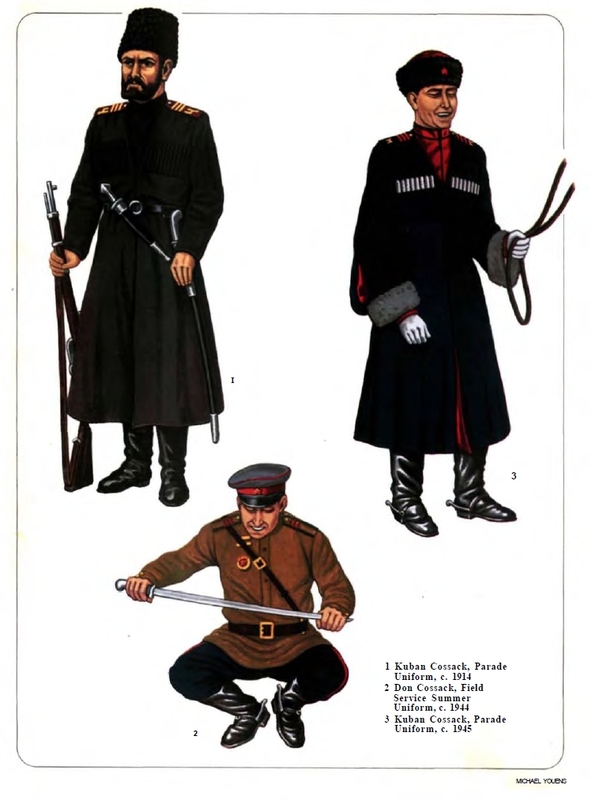 and some Russian 'Cossak' groups are famous for also wearing the same basic outfit. 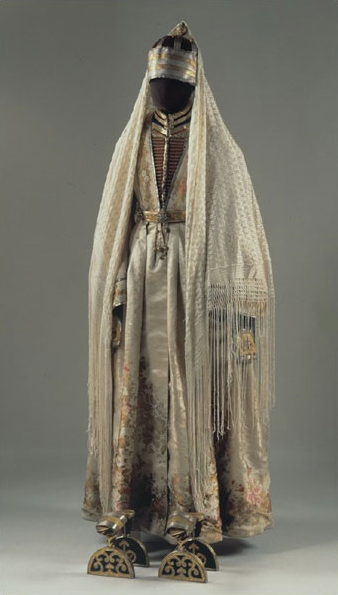 It is undeniable that the origin of this costume lies with the peoples of the Caucuses. I hope you have enjoyed this 'short' introduction to the costume and [some of] the peoples of the Caucuses. The majority of these images I have off the web, from various websites devoted to these various peoples. Awesome and beautiful! Thank you for compiling this magnificent page. I wish I could join you for dancing as well as sewing, but I am on the other side of the planet. Just being able to see it from afar is quite wonderful in itself! I am reading 'The young stalin' and was interested to see what the 'white caucasian hoods' frequently mentioned look like. My search brought me to your wonderful page, which i shall now return to many times. You've done a magnificent job! It often happens that photos of the Caucases are misattributed. 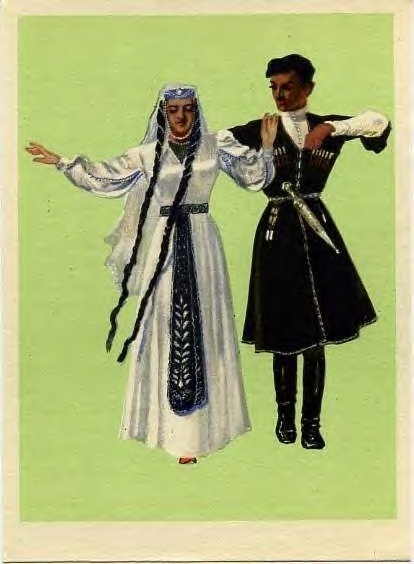 But Abkhazia is politically part of Georgia, and it could certainly be that an Abkhazian dance was labelled Georgian, even if it was not ethnically Kartvelian. Do you have specific information on this? 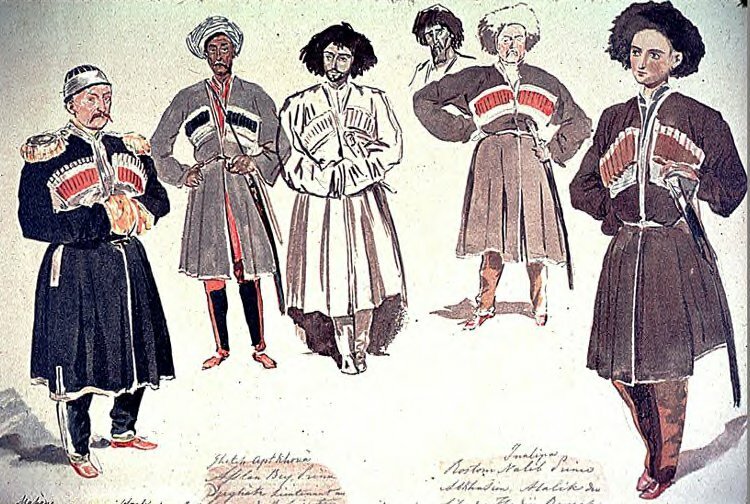 themselves to be neither Ukrainian nor Russian]"
Because they are "Kazakhs" the members of "Turkic" family and if you want to learn more about them, please check Russia's ethnic cleansing of Turks in Crimea, Ukraine. Love your posts Roman!Keep it up.